string(1220) "Events > Videos > The New American Dream? Illicit Migration, Human Trafficking and Smuggling in the Americas"
In the face of what is arguably a migration crisis, President Obama has issued an Executive Action protecting a potential 4.3 million illegal immigrants from the threat of deportation, by changing priorities for deportation to exclude those who have spent more than 10 years in the country, or who entered as minors before 2010. 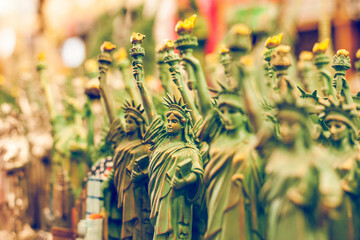 Immigrants are deeply rooted in the economy of the US and have been for centuries. In the state of California, a recent study found that the illegal workforce contributes $130 billion annually to the state’s GDP. Yet since 2011, the rate of deportation has been increasing exponentially. Under the Obama administration, the US has removed nearly 2 million people, and returned more than 1.6 million more, the highest of any Presidency. Given the current volatility of the migrant situation, how will the Executive Action impact human trafficking and smuggling? How is the decision being messaged south of the border? Will this further escalate criminal syndicates facilitating human trafficking and smuggling? This webinar is the second of the RESPECT Webinar Series 2015 “Understanding Illicit Trade: Impact of Human Trafficking and Smuggling on the Private Sector”, hosted by the Global Initiative against Transnational Organized Crime and Babson College’s Initiative on Human Trafficking and Modern Slavery. Also supported by TraCCC, the Terrorism, Transnational Crime and Corruption Center at George Mason University.